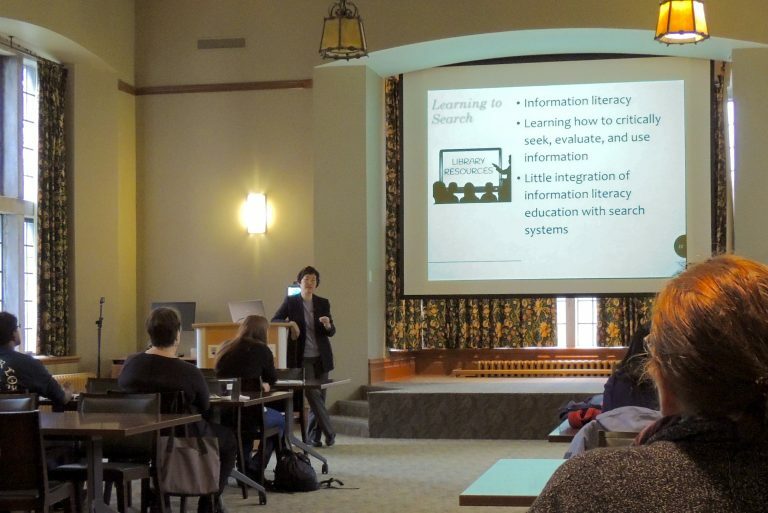 The iSchool regularly invites guest speakers to participate in our Colloquia Series. These events are open to the public, and are of interest to faculty, current students, alumni and other professionals and researchers in the community. The faculty contact for the Colloquia Series for 2018/19 is Dr. Julia Bullard. 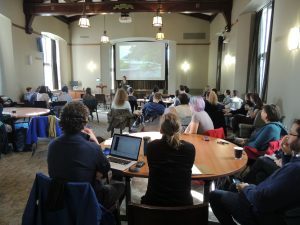 Links to podcasts, videos, and speeches given at iSchool colloquia are provided below when available. 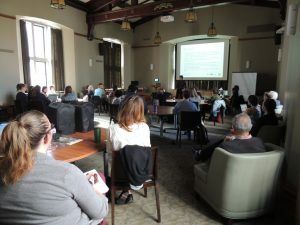 There was an excellent turn-out for Dr. Soo Young Rieh's “Searching as Learning: Perspectives, Assessment, and Future Directions ” Colloquium on Thursday. 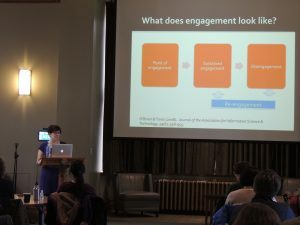 Dr. Rieh discussed her research which includes intriguing questions on how different search tools and behaviours can influence receptive or critical learning. 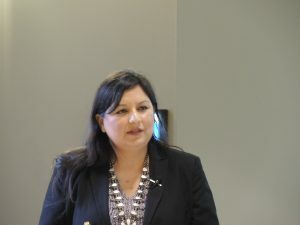 Many thanks to Dr. Lisa Nathan for her talk. Many thanks to Dr. Victoria Lemieux for her talk. Factotem: What is information access for? 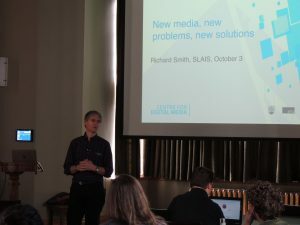 Many thanks to Dr. Richard Smith for his talk. Many thanks to Dr. Ray Hsu for his talk. Many thanks to Dr. Alison Powell for her talk. Many thanks to Dr. Margaret Mackey for her talk. Many thanks to Jennifer O'Neal for her talk. 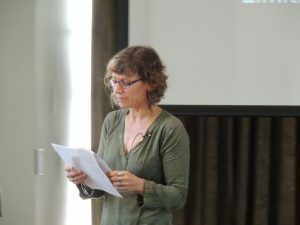 Many thanks to Maite Taboada for her talk. Many thanks to Anne Lindsay for her talk. Many thanks to Dr. Jenny Preece for her talk. Many thanks to Dr. Catherine Ross for her talk. Many thanks to Maggie De Vries, Jan Hare, Yukiko Tosa, and Judith Saltman for their talk. Many thanks to Dr. Spencer Lilley for his talk. Many thanks to Mark Turin for his talk. Many thanks to Christian Rapp for his talk. Many thanks to Stuart Schechter for his talk. Thank you to Jenny Preece for the very successful first talk of the series! "Co-construction of Information Systems Designs and Social Values: An Ethnographic Study"
Abstract of the Talk: Scholarly work usually characterizes engineers as politically and socially conservative individuals; instruments of the expansion of capitalism and neoliberalism. It also portrays them as supporters of both the State and the big corporations that employ them. 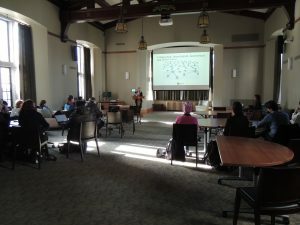 This talk reports on an ethnographic study that documented the work of a group of information technology (IT) engineers in Colombia who decided to create a space of exception to neoliberalism in the form of a Non-Governmental Engineering Organization (NGEO). These engineers found that running their own NGEO provided them with some degrees of freedom to pursue social justice goals in their IT work in ways not usually found in the corporate or neoliberal governmental worlds. However, these opportunities do not come without outstanding challenges, such as funding dependencies from a neoliberal government, which create contradictions that hinder the pursue of social justice goals in the construction of information technology. Biography of the Speaker: Richard Arias-Hernandez is a lecturer at the University of British Columbia’s iSchool. He obtained a Ph.D. in Science and Technology Studies from Rensselaer Polytechnic Institute in 2008. His research has centred around the study of the co-construction of information technology and society, especially those constructions that aim to advance social justice in capitalist societies. "The Intent of a Classification: Evaluating Classifications Based on the Concept of "Warrant"
Biography of the Speaker: Barbara currently serves as Associate Dean for Academic Affairs. She also teaches in the areas of organization of information, theory of classification, and information science. She is especially interested in how classifications intersect with everyday human endeavor -- for example, how they are translated from one culture or application to another. The purpose is to help support increasingly diverse contexts. 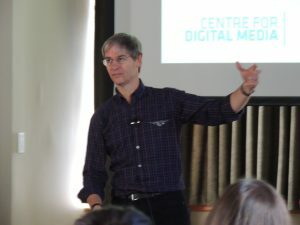 Previous research (with Kevin Crowston) includes investigating whether genre information can help in searching, personal information management, and browsing. "Writer as Critic: Inside and Outside the Book"
Abstract of the Talk: Sarah Ellis has always appreciated children’s literature from the multiple perspectives of writer, reviewer, critic, and teacher of children’s literature and creative writing. She will discuss her experience as the insider crafting a story and the outsider striving to put that story into context. Biography of the Speaker: Sarah Ellis is the author of fourteen books for children, including picture books, short story collections, middle grade novels and non-fiction. 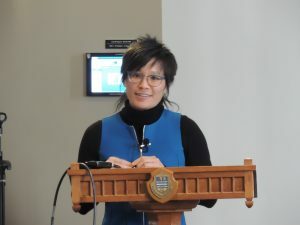 Her books have been awarded such honours as the Canadian Governor General’s Literary Award for Children’s Literature and the TD Canadian Children’s Literature Award. Her books have been translated into French, Spanish, Danish, Chinese and Japanese. 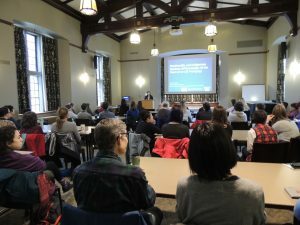 After graduating from U.B.C.’s School of Library, Archival and Information Studies and a career as a children’s librarian, Sarah moved to teaching and is on the faculty of The Vermont College of Fine Arts. Sarah studied at Simmons College in Boston where she received a master’s degree in children’s literature. When not writing for children or teaching, she lectures on Canadian children’s books and writes book reviews for The Hornbook Magazine and Quill and Quire. Sarah’s immersion in children’s literature has taken her to Japan, Venezuela, England, Ireland and various Canadian and American locations. Sarah received the British Columbia Lieutenant Governor’s Lifetime Achievement Award in 2013 and has been nominated for the 2014 Astrid Lindgren Memorial Award. The colloquium is sponsored by the Faculty of Arts Interdisciplinary Programs and the UBC Master of Arts in Children’s Literature Program, a multidisciplinary degree Program offered by the Creative Writing Program, the English Department, and the School of Library, Archival and Information Studies in the Faculty of Arts; and the Department of Language and Literacy Education in the Faculty of Education. 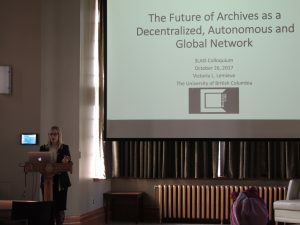 "The Rhizome, the Archives and the Social Media"
Abstract of the Talk: Recently, some have called upon archives to move to a more radical user orientation, envisioned by community archives, participatory archives and the archival commons. Concomitantly, some have suggested that social media, or Archives 2.0 will transform archives into a more democratic institution, one that foregrounds ‘multiple authorities based on networks of peers”. Research, however, indicates that most archives continue to serve as a centralized archival authority that uses social media to promote services rather than engage users in new relationships. This paper draws on Deleuze and Guattari concept of the "rhizome" to propose a system that supports non-hierarchical entry and exit points in data representation and interpretation. 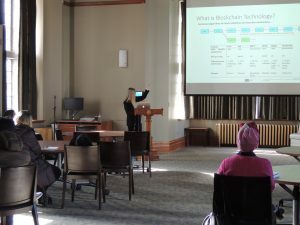 It suggests gamification, mashups, and interactives may provide new ways to connect with non- traditional users and to provide new avenues of access to archival material. Scott R. Anderson and Robert B. Allen “Envisioning the Archival Commons” American Archivist 72 (Fall/Winter 2008): 383-400. Biography of the Speaker: Wendy M. Duff is a professor at the University of Toronto, School of Information. 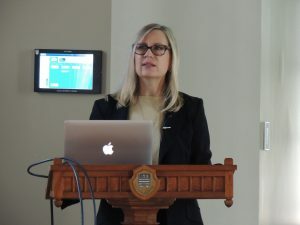 She is currently the Director of the Digital Curation Institute and teaches archives and records management with a focus on access to archival materials. She is a founding member of AX-SNet, an evolving international team of researchers interested in facilitating access to primary materials. 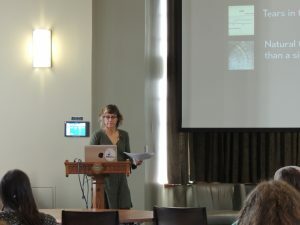 Her current research focuses on archival users, archives and social media, measuring the archival impact on social justice and the convergence of libraries, archives and museums. "Purposeful Play for the Youngest Learners: Early Literacy from Birth to Age Five"
Abstract of the Talk: “Purposeful play for the youngest learners: early literacy from birth to age five" Although library service to children was once mainly focused on books, today play is also a strong component. Children learn best through play. Library programs that incorporate purposeful play experiences can give children (and their parents) opportunities for practicing self-regulation, experiencing positive reinforcement, and developing pre-reading skills. Playful early literacy programs (such as Mother Goose on the Loose) in public libraries help children build school readiness skills; they also teach parents about easy activities to replicate at home that help with their child’s development. Hear about some fun activities with seriously helpful benefits that can be used with even the youngest library visitors! Biography of the Speaker: Dr. Betsy Diamant-Cohen is the creator of the early literacy program Mother Goose on the Loose. She was named by Library Journal as a Mover and Shaker in 2004. In 2013, she received the Leadership and Professional Achievement Award from the Association of Specialized and Cooperative Library Agencies, a division of the American Library Association. The ASCLA award recognized her as “a prolific author, inspiring mentor and presenter, knowledgeable consultant and teacher and creator and developer of the Mother Goose on the Loose program. This program has revolutionized the way story times are presented to young children at libraries across the country and has empowered librarians to work confidently with this young population of readers.” Dr. Diamant-Cohen has had years of experience working in libraries and children’s museums. She runs training workshops and presents courses through colleges and library associations. Rob Capra - Augmenting Web Search Surrogates With Images: Does it Help to Add Images to Web Search Results? Presented March 8, 2013 by Jack Lohman, CEO of the Royal BC Museum, Chairman of the National Museum in Warsaw, Poland and Professor at the Bergen National Academy of the Arts, Norway. Dietmar Wolfram - Who are the Disciples and Admirers of an Author? Presented March 14, 2012 by Joan Mitchell, Editor in Chief of the Dewey Decimal Classification (DDC) system, OCLC Online Computer Library Center, Inc. 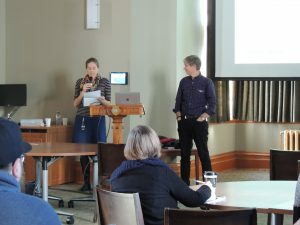 The following video highlights some of the posters, talks, and demos presented at the iSchool's 3rd annual Research Day held March 2. Working with still images of the event, student Jonathan Kift has recreated a sense of the energy and excitement of the day. Presented November 2, 2011 by William Cope, Research Professor, Education Policy, Organization and Leadership, University of Illinois, Urbana-Champaign. Presented November 2, 2011 by Michael Eisenberg, Professor and Dean Emeritus, University of Washington, The Information School, Co-Principal Investigator, Project Information Literacy. Presented October 19, 2011 by Paul Whitney, Educator and Consultant and Former City Librarian, Vancouver Public Library and former Chief Librarian with Burnaby Public Library. Presented October 26, 2011 by Lynn Bartram, Assistant Professor, Simon Fraser University, School of Interactive Arts and Technology. 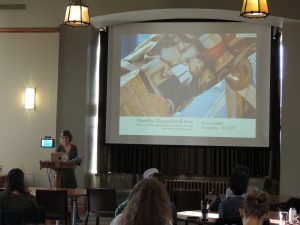 Presented March 16, 2011 by Kate Hennessy, Assistant Professor at Simon Fraser University, Anthropologist and new media artist, director of the Making Culture Lab. 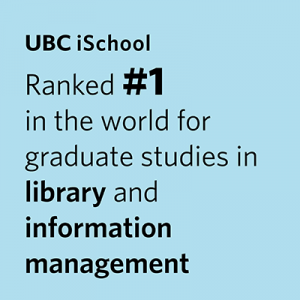 Presented March 2, 2011 by Ingrid Parent, University Librarian at UBC and President-elect of IFLA. Presented November 17, 2010 by Dr. Eliza T. Dresang, Beverly Cleary Chair for Children's Literature and Services at The University of Washington Information School. Presented November 5, 2010 by Dr. George Buchanan, Senior Lecturer, Centre for Human-Computer Interaction Design at City University, London. Presented November 3, 2010 by Prof. Geoffrey Yeo, Lecturer, Department of Information Studies, University College London, and Visiting Professor, School of Library, Archival and Information Studies. Ann Curry - Silencing by Shouting Down: Acceptable Censorship in 2010? Presented October 28, 2010 by Prof. Ann Curry, Professor, Department of Education, University of Alberta. MACL/Green College Symposium, "Utopian Tendencies of Oddly Modern Fairy Tales." Presented March 24, 2010 by Prof. Jack Zipes, Professor Emeritus, University of Minnesota. ACA@SLAIS Symposium, "Preserving the Memory of the World." Welcome and greetings by Rhodri Windsor-Liscombe, Associate Dean of the Faculty of Graduate Students, at the opening of the ACA@SLAIS Symposium “Preserving the Memory of the World” held March 12, 2010 in the Irving K. Barber Learning Centre. 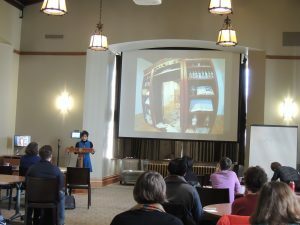 Presented February 6, 2010 as part of the SLAIS Colloquium series at the Irving K. Barber Centre. David Hendry and Jill P. Woelfe, presented January 27, 2010 as part of the SLAIS Colloquium series in the Irving K. Barber Centre.